The Bishop of Manicaland has filed a civil lawsuit against a church warden in his diocese, accusing him of malicious libel and instigating a false criminal complaint. The Rt. Rev. Erick Ruwona is seeking $500,000 in damages from Mr. Joseph Mashingaidze after the warden of the Mutare parish lodged a complaint with police in September 2018 accusing the bishop and three senior diocesan officials of theft. The lawsuit comes amidst widespread disquiet over Bishop Ruwoma’s leadership of the Eastern Zimbabwe diocese. Last month lay leaders in the diocese presented a petition of no confidence in the bishop, citing alleged financial improprieties and un-Christian conduct and called for him to resign. The ongoing fight, which saw the bishop excommunicate the bulk of one congregation for defying his authority in 2017 — only to have the Archbishop of the Church of the Province of Central Africa rescind the action in 2018 — comes amidst difficult financial times for the diocese with allegations clergy stipends are not being paid properly and donations to the diocese being used for improper purposes. The bishop alleges that Mr. Mashingaidze brought a criminal complaint to police last September, alleging that a truck belonging to St Agnes Church in Chikanga had been stolen by the bishop and diocesan officials. Acting on the complaint officers of the Anti Corruption Commission and the Zimbabwe Republic Police arrested the bishop. The state was not able to prove a case of theft against the bishop and his co-defendants and the case was dismissed. 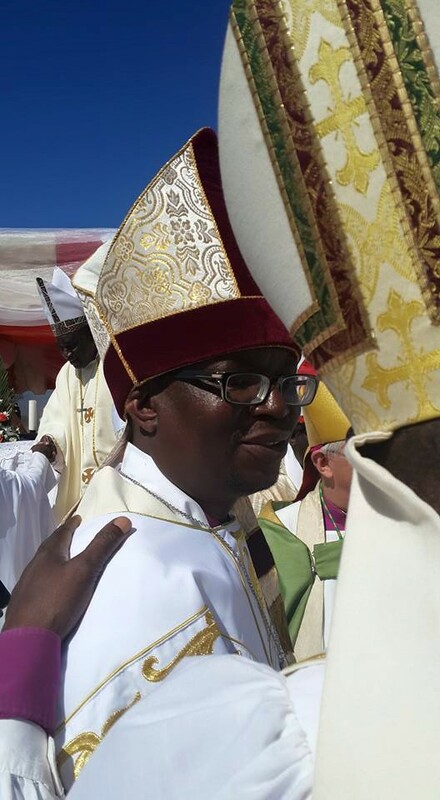 The bishop alleges that Mr. Mashingaidze knew the charges of theft were false from the outset, and had brought them “to harass, embarrass and publicly humiliate” the bishop, the complaint stated. The bishop is seeking $2,000 in legal costs, and damages of $200,000 for malicious arrest and prosecution, $150,000 for injury to his dignity, and $148,000 for defamation. The defendant has not filed an answer to the complaint as of our going to press. While litigation between bishops and lay members of their diocese have not been unknown through church history — they have usually arisen as part of a wider theological or doctrinal dispute — though the former Bishop of Niagara (Canada) took the unprecedented step in 2013 of suing a blogger for ridiculing him. The Bishop of Manicaland’s lawsuit appears to break new ground in clergy-lay relations.